Iran’s media on Tuesday cheered as the Parliament voted to end a hefty housing project that President Hassan Rouhani had previously blamed for shooting up inflation to above 40 percent over the past years. The Parliamentarians in their debates over Iran’s Sixth Five-Year National Development Plan (2020-2025) voted to have Maskan Bank allocate the required funds for completing the remaining phases of ‘Mehr’ (kindness in Persian) housing project which was a main brainchild of former president Mahmoud Ahmadinejad (2005-2013). No more new Mehr houses should be built, the MPs made it clear through an overwhelming approval. The move is already seen as significant for releasing huge amounts from the annual national development budgets that should have otherwise been spent on the scheme that had drawn serious criticisms by Rouhani’s government. “Mehr Housing Now History,” wrote Arman Emrooz in an article on its front page. “Goodbye Mehr Housing,” wrote another daily – Jam-e Jam. 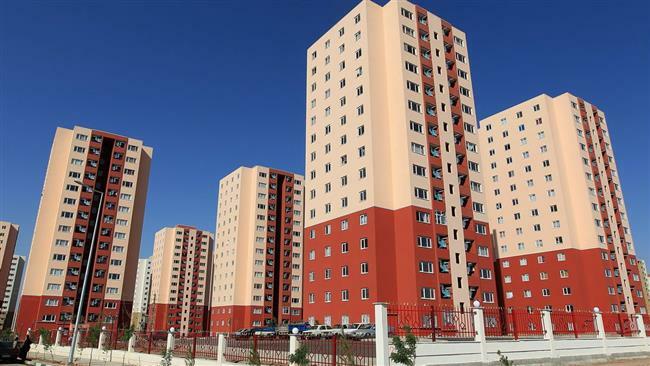 Sharq newspaper described Mehr housing as a “burden” for Iran’s economy. “The End of Ahmadinejad’s Mehr,” wrote Sharq newspaper on its front page on Tuesday. “Mehr Housing Becomes History,” wrote Arman Emrooz newspaper on its front page. “Seal of Termination on Mehr Housing,” wrote Aftab-e Yazd newspaper in a front-page article. The target of the project – which started in 2007 – was to erect 17 new cities and some 1.5 million housing units to poor families in face of rising land and apartment prices. Accordingly, billions were withdrawn from the Central Bank of Iran (CBI) upon orders by the government to push the project forward. The CBI was even ordered by the government to print money to fund the scheme, what eventually led to a rise in the monetary base and a runaway inflation, as reported by Ebtekar newspaper. Estimates show that the banks had doled out loans totaling above $10.2 billion to applicants as of January 2011. However, signs of the project’s failure emerged from early phases when the public failed to welcome it as desired. This was due to the fact that the Mehr housing blocks had been mostly constructed with substandard designs and materials in remote areas with poor – or even non-existing –infrastructure facilities. Other problems emerged later when developers found the project unprofitable as a result of skyrocketing inflation and began to leave many housing units half-complete. Furthermore, inflation in the real estate market proved profitable for racketeers who bought off units using complicit applicants as intermediaries, then sold them at much higher prices, as reported by the media. This eventually led to a nine-fold increase in prices of houses and pushed up inflation already deteriorated as a result of sanctions against the country. The vote by the Parliamentarians was welcomed by the media for its anticipated effect on removing a huge financial burden on the government of President Hassan Rouhani. Rouhani, himself, had emphasized soon after taking office that the Mehr housing scheme was one of the largest hurdles to Iran’s economic recovery. He told the nation in a televised address on the occasion of his first 100 days in office that the project was responsible for 40 percent of Iran’s liquidity. The significant of the Parliament’s vote becomes further clear when considering that the amount that Ahmadinejad’s government had allocated for the project was higher than the collective development budgets for several past years of Rouhani’s tenure, wrote shafaf.ir news website.